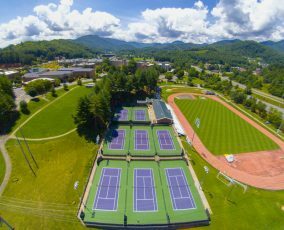 resurfacing tennis courts since 1991. 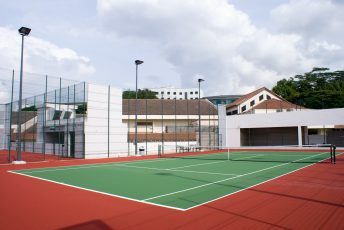 Why Choose Thermal Belt Sports Surfaces? We only use the highest quality materials for every project to ensure an exceptional final product that is durable and cost-effective. Our commitment to assuring the full satisfaction of our clients is something that we take great pride in. We continually strive to exceed expectations by ensuring that each project is completed on time and under budget. 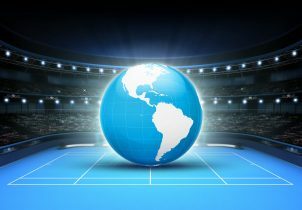 For the best tips and tricks on how to maintain your sports surfaces, industry insights, and much more. We are a family owned and operated business since 1991. Primarily serving South Carolina, North Carolina, Eastern Tennessee and Georgia. Our company’s mission is to provide honest and reliable service that stands head and shoulders above the rest. 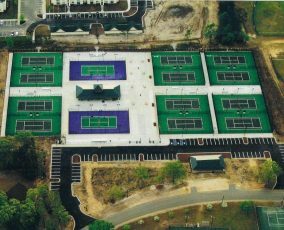 New construction and reconstruction, including grading and paving for asphalt courts, clay courts and specialized surface courts. We can help you with your facility design as well. 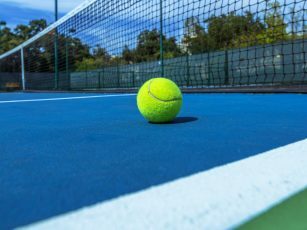 We specialize in crack and surface repair, surface coating for asphalt courts, as well as surface repair for clay courts. 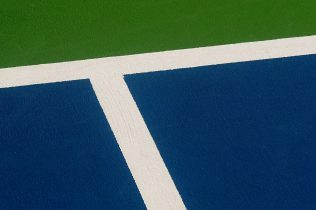 We repair both asphalt (resurfacing) and clay (top dressing and lines) courts as well as fencing repairs and upgrading. 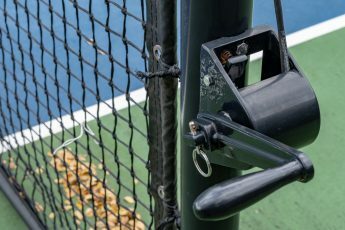 We offer tennis nets, regulation tennis net posts, windscreen, benches, clay court accessories and maintenance equipment. 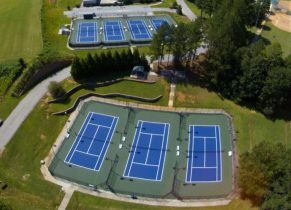 We provide and install lighting and fencing for tennis courts, pickleball courts, basketball courts, and most other specialized surface courts.